Uriel Reviews Shades of Magic! Let me start by just coming clean with you all: I’m not exactly the biggest sci-fi/fantasy enthusiast. I know, I know. Hold back your stones before you proceed to pelt me with them. Part of my 2017 New Year’s Resolution is to read stuff outside of my usual bubble of literary fiction. I want to try genre stuff, you know, dragons and kings and rings and ships and quests – that kind of thing. 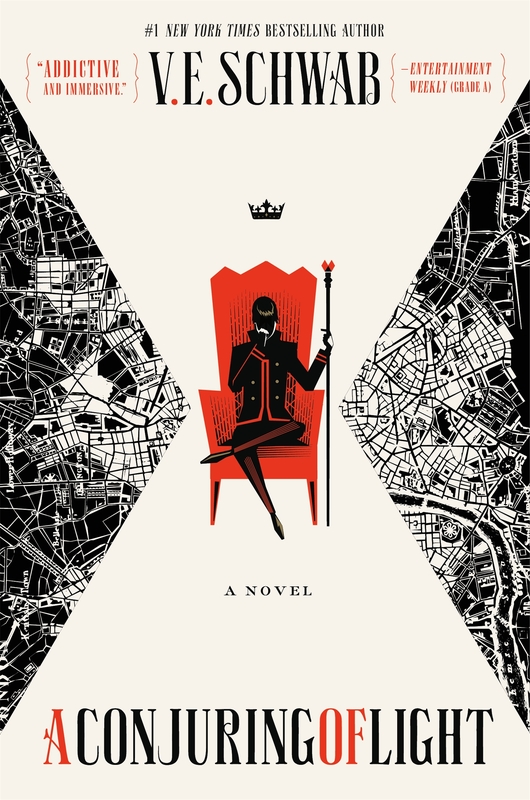 I didn’t know where to start exactly until I happened upon a copy of V.E.Schwab’s A Darker Shade of Magic. I was intrigued with what the back cover had to say: Magic. Multiple Londons. Kingdoms. Stones. Adventure! So here I am, about halfway through this first volume (it’s a trilogy, holy smokes!) running alongside Kell and Lila (another one of our protagonists – a thief in Grey London, but someone who wants something more out of this life) to preserve the balance between the Londons and prevent a chaotic explosion of magic similar to kind that prompted the sealing so long ago. It’s utterly enthralling and has me believing that sci-fi fantasy is definitely for me. As I’ve said, A Darker Shade of Magic is part of a trilogy, so the story continues in A Gathering of Shadows and concludes with A Conjuring of Light, out yesterday! If you’re new to the series like me or a longtime fan of Schwab’s, I think it’s worth noting that Schwab will be joining us in-store Wednesday, March 1 st to read, sign and discuss A Conjuring of Light! Previous Post New Books 2/21! I can’t wait to get a copy and read A Conjuring of Light! Added this trilogy to my TBR! Thanks!